A story my boys have been asking me to tell them over and over again is the one in which my Chinese teacher threw my Spelling book out of the window and I had to sorrowfully go out to retrieve it at recess time. 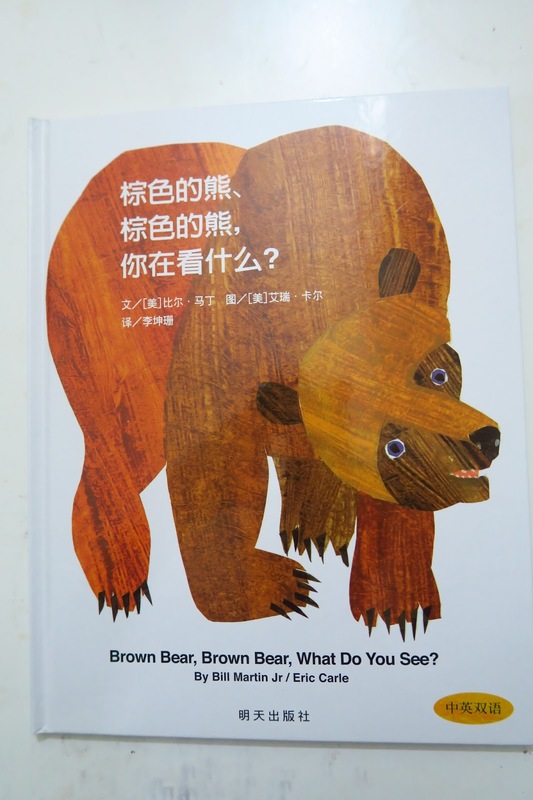 The story well encapsulates my subsequent experiences with the Chinese language. Let it be said that it was a hate-hate affair. I went on to fail my "AO" Levels twice before passing finally, I'm sure, due to my desperate prayers out of fear of having to attend Chinese Camp before my entrance to Uni. Fast-forward 30 years, and I find myself at home with two young boys who are looking to me to teach them the same language I struggled with for so many years. 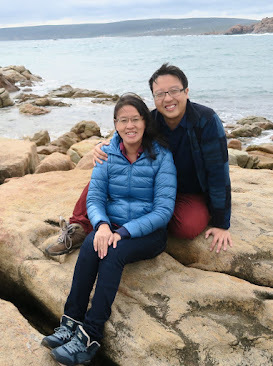 It soon became clear that I needed some help, especially when my older boy recently went into a phase of constantly asking, "What is ______ in Chinese?" and I was forced to Google translate most of the answers. I have been trying various approaches to our Chinese lessons. 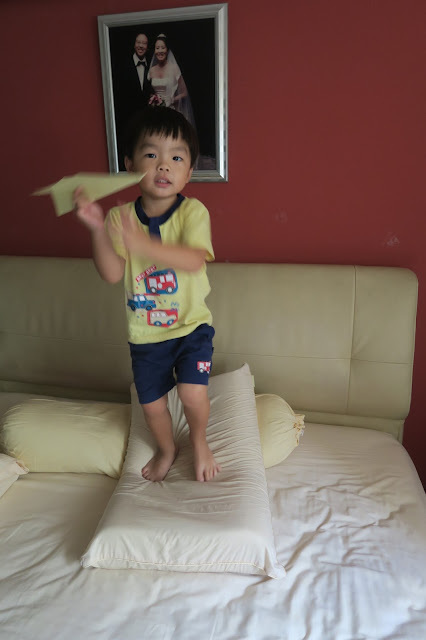 I use a lot of kinaesthetic activities with the boys, like learning the different words for colours by tossing beanbags into a basket while on scooter boards. 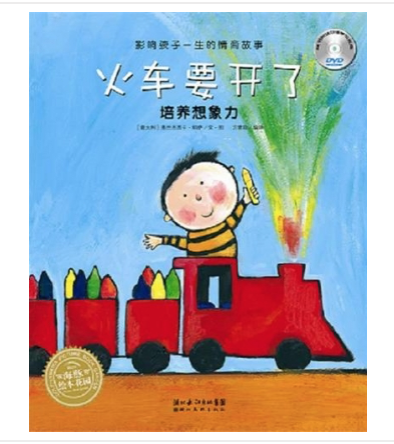 Then there was my discovery of Chinese picture books last year when I realised how inexpensive they were compared to English picture books. And beautifully illustrated, with well-chosen storylines and none of the "twaddle", a term which 19th Century educator Charlotte Mason coined to describe books which lack substance and quality in their writing. This is how we often do our learning - with a scooter board and lots of scooting around! In fact, what I liked best was that a lot of the books had been translated from Japanese, French and other European picture books, some of which had never been translated into English. 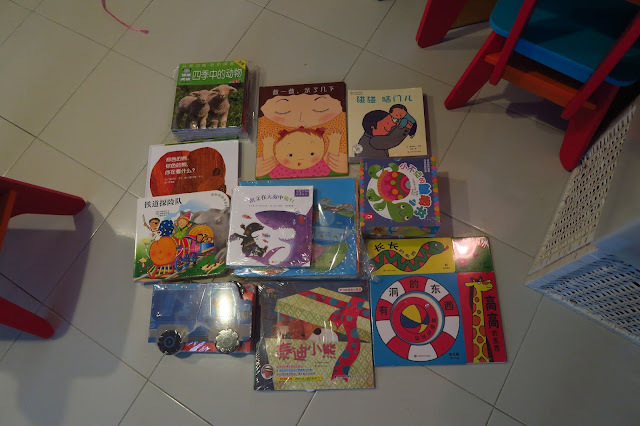 On our trip to Kunming last year, I brought home a suitcase-full of picture books and we have been enjoying them since. 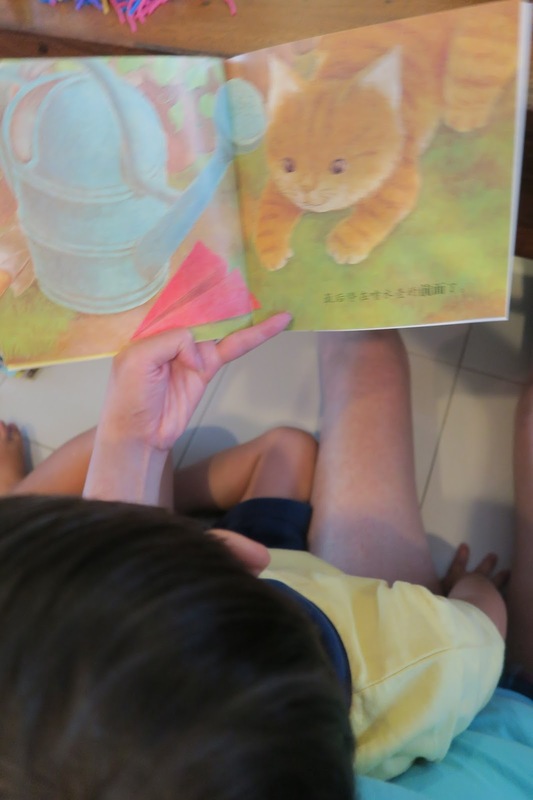 It was therefore with great excitement that we were given the opportunity to review "Flip for Joy", an online bookstore with carefully curated Chinese books for children. I was sourcing for a birthday gift for my sister in the US, who had requested for some Chinese books for her soon-to-born baby girl, whom she wanted to be exposed to the Chinese language. The Flip for Joy website is so attractive, and easy to navigate! Doesn't everyone simply flip (over) with joy upon receipt of such a parcel? Or is it just me? The Flip for Joy website is extremely user-friendly, with bright and cheery colours and three main categories Fun, Knowledge and Love. For a book lover like myself, it's like stepping into paradise! Of course, the fact that the product descriptions were in English certainly helped! I also appreciated the friendly invitation to ask for recommendations with no obligations to purchase. There were too many choices! I emailed the very friendly and gracious Meiru, who soon replied.with a list of personalised suggestions for my new baby niece and for our homeschooling purposes. 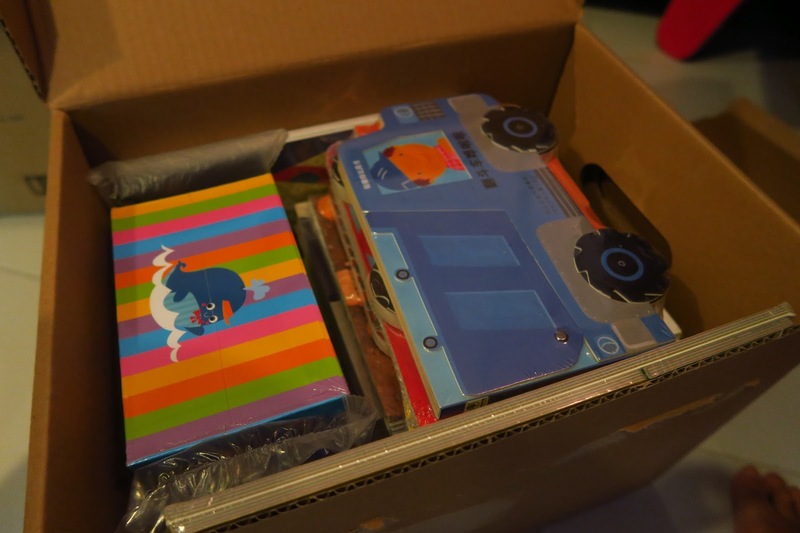 The whole order was arranged very efficiently by courier, and we were soon greeted by this oh-so-marvellous parcel full of storybook treasures. I think I was more excited than our boys. There's nothing like the prospect of a new book to make my day. I had ordered a selection of infant books for my little niece, and another set for our homeschool use. Meiru very generously included some additional book treats for us. This was our stash! It was like Christmas Day early! Our stash.. with book treats galore! Thank you, Flip for Joy! The baby books were sent to Florida via my parents. For the little one, Meiru had suggested the Starter Pack A, which included the Chinese translation of Brown Bear, Brown Bear, What Do You See? by Eric Carle as well as a sweet series of lift the flap board books for babies. 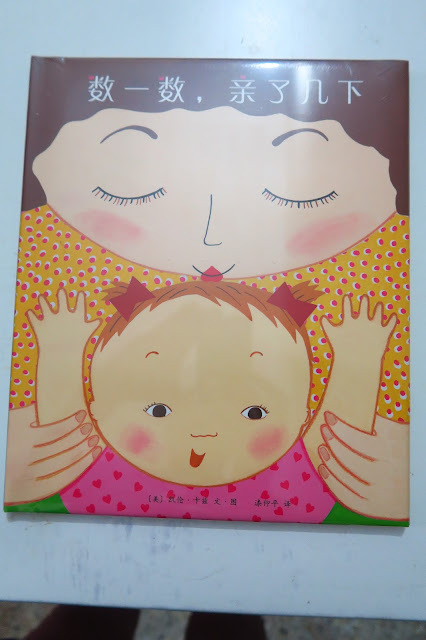 I also got some touch and feel books, and a Japanese series which involved parent-child interaction. What a great idea as a baby gift for new parents instead of the usual gift ideas! 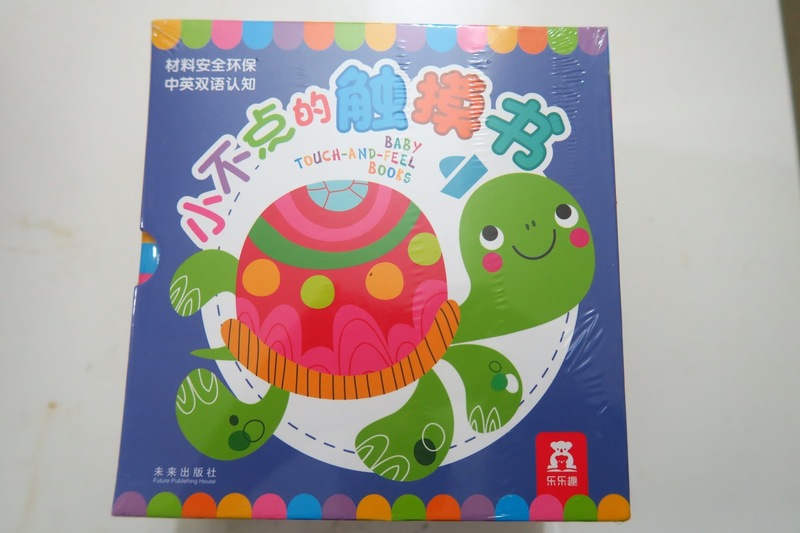 The Chinese translation of an Eric Carle favourite! A sweet story for baby! Some lovely lift-the-flap books, perfect for little hands! Brain stimulating activities for parent and child! 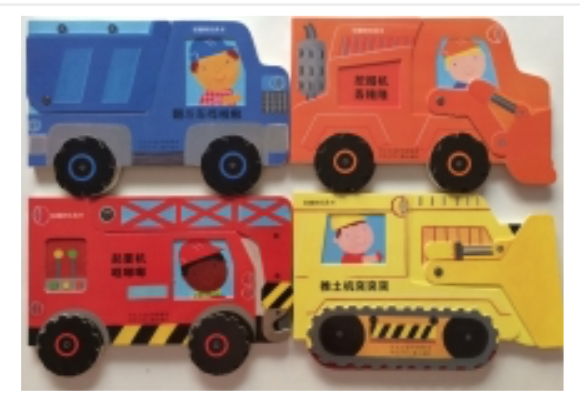 For the boys, I went with Meiru's recommendation of a set of sequenced early readers which would provide the foundation for their acquisition of the language. 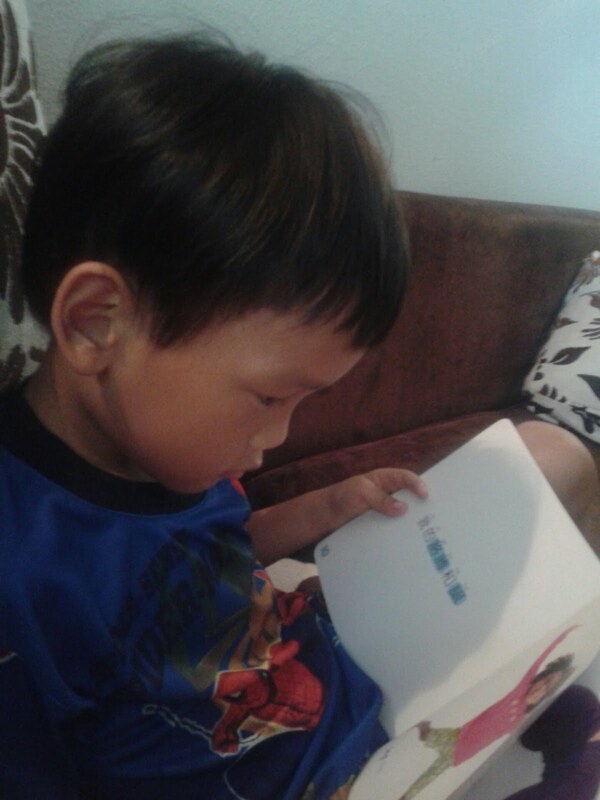 My boys have always taken to books with real photographs (I'm not sure if it's a boy thing!) and I knew it would also give myself as a teacher a framework to work with, knowing we could just go through the books in sequence. 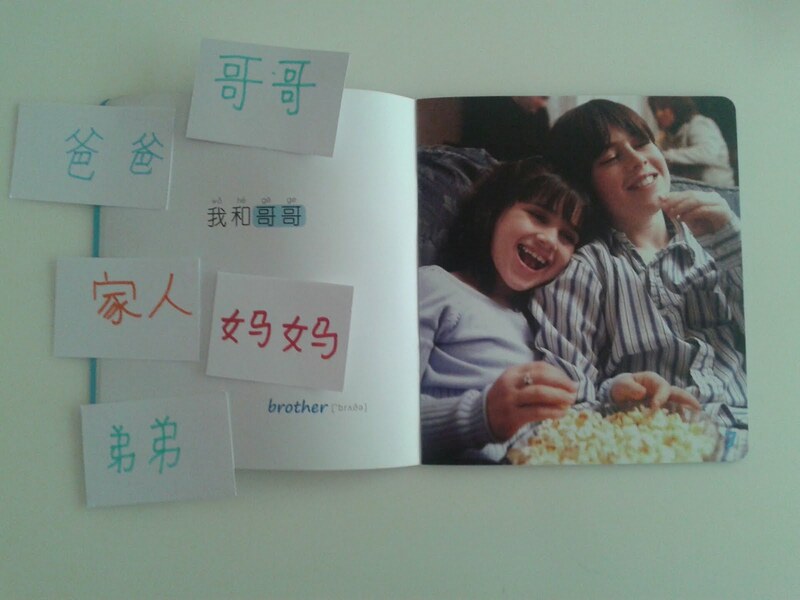 I have indeed started using the set as part of our daily Chinese lessons. We are taking our time to go through each section and the boys have already picked up the terms for family members and parts of the body and are starting on new vocabulary for the different parts of a house. I have been writing out the words on flash cards to reinforce their learning with games and actions. I love the fact that it's finally working for us! We are gradually working through the set of 18 books, categorised in order of difficulty. This homeschool mama is going to take these books on holiday with us, because it will be so easy to learn on the go! These are perfect for homeschoolers wanting to teach their children new vocabulary! Enjoying the lesson on parts of the body! The simple way we learn - simple but effective! 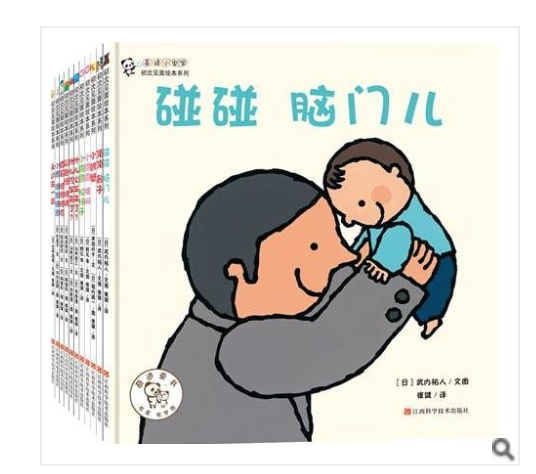 The second set I ordered was a lovely illustrated series of stories on values (影响孩子一生的情商故事（15册+5张DVD+父母导读手册) which came with accompanying DVDs. My sons are visual and auditory learners too and love audio books, so I thought this might work for them. Well, turns out they love the books themselves so much that we have only watched the DVDs once. 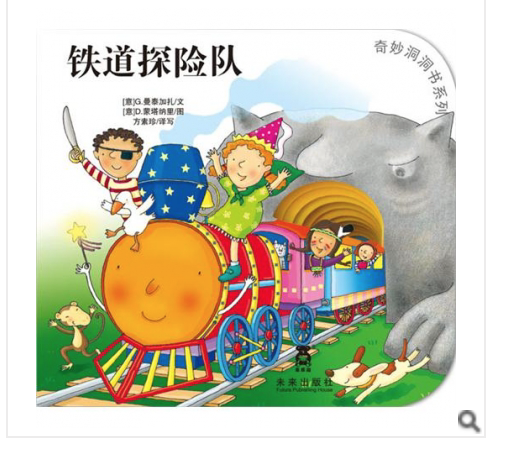 The series has been perfect for bedtime with the sweet and gentle illustrations and tales of animal adventures which put forth a clear message without being overly moralistic like the Chinese books I was so familiar with and disliked in my childhood. The authors and illustrators are from Spain, Italy and the US! These books have become fodder for mealtime discussions too. There's the one about the bear who was bored and decided to paint the world around him different colours; it talks about contentment and the beauty of nature just the way it is. My boys' favourite at the moment (because it resonates with them a bit too much, I admit!) is about a cake making competition which turned into a disaster because each animal claimed his was best. In the end, they learned to cooperate to make the best and most "luscious, delectable cake" ever, as my 5-year-old puts it. I am looking forward to reading the rest of the books in the set of 15 with them! 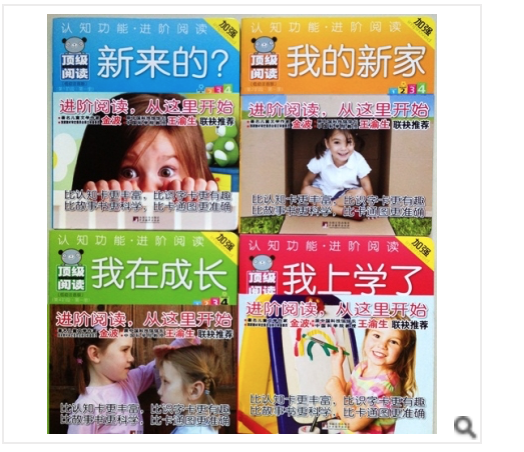 Each of these stories is based on a value or character trait to be emphasised. And for the book treats... I could not wait to see what Meiru had handpicked for our boys! 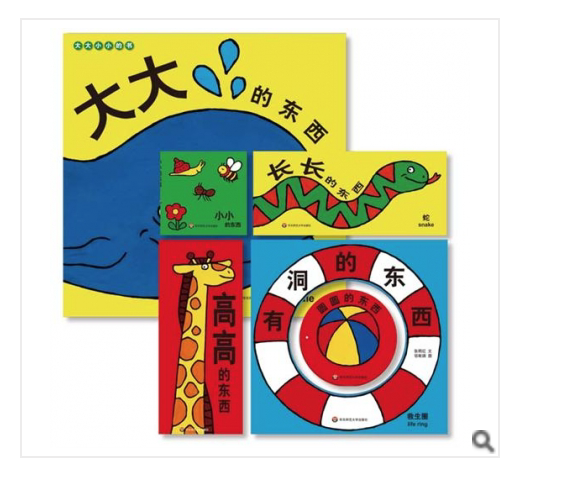 My favourite choice was the set by a Korean author and illustrator which teaches very specific concepts in Chinese like colours, prepositions, and parts of the body; loved the humour infused in the stories! Learning about prepositions in Chinese! Inspired by the book 纸飞机飞到哪里去了？Is the airplane flying over my head? 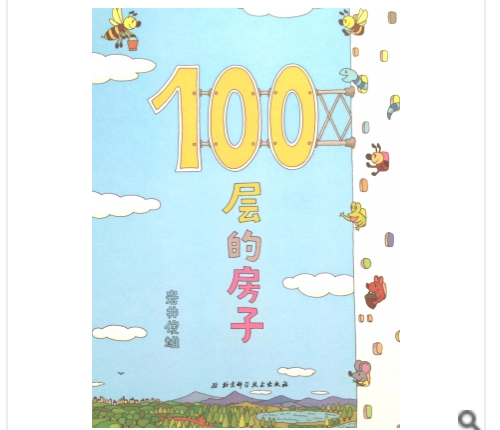 Another book which I personally could not imagine ploughing through for its length was 100晨的房子. More than its length, I wasn't sure if my 5-year-old would find the concept interesting yet at his age. But he loved it! We enjoyed a nice afternoon going through and counting the different levels up to 100, and predicting the kinds of animals he was going to find living at each level. It was a fun read! A fun read, involving counting and lots of visual discrimination! And so we have it! This blog post sure took a long time to write because of the bounty of books we had to review and enjoy. I must say it was one of our most enjoyable reviews of the year... and the enjoyment is carrying on, because, as quoted in Flip for Joy's Christmas promotion of a free $5 e-voucher for any expenditure over $50, a book is a gift you can open again and again. Thank you, Flip for Joy, for helping us bring the joy back into learning the language on our homeschooling journey! 1. Like Parenting on Purpose on Facebook. 2. Like the Parenting on Purpose Facebook post of the review and share the post on your Facebook account. 4. Leave a comment under the Facebook post telling us which is your favourite title and why. Share the joy of reading this Christmas and receive a $5 Flip for Joy e-gift card (valid for 6 months) for every $50 nett spent in the month of December. Chinese is a tough language to learn in comparison to English. Good efforts are required to learn and even more for teaching. Good Luck.